This is the time of year when it’s necessary to replenish our everyday essentials from paper towels to cleaning supplies. 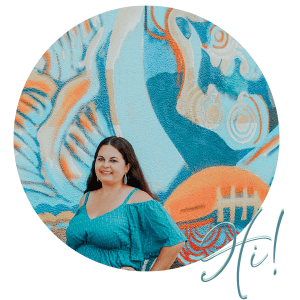 We go through SO much during the holiday season between hosting parties and traveling, and so I use these few weeks to go through our home and refresh our decor and household supplies. To help you stock up on a budget, I’ve created a free household cleaning printable along with a few tips! We go through SO many paper towels during the holiday season cleaning, and it’s always a good thing to have extra spray cans of Febreze since we have two dogs. With my savings, I picked up Christmas decor and cooking supplies. Cake pans, sprinkles, and cookie mix became a fun splurge for our holiday cookie party. Are you ready to stock up? 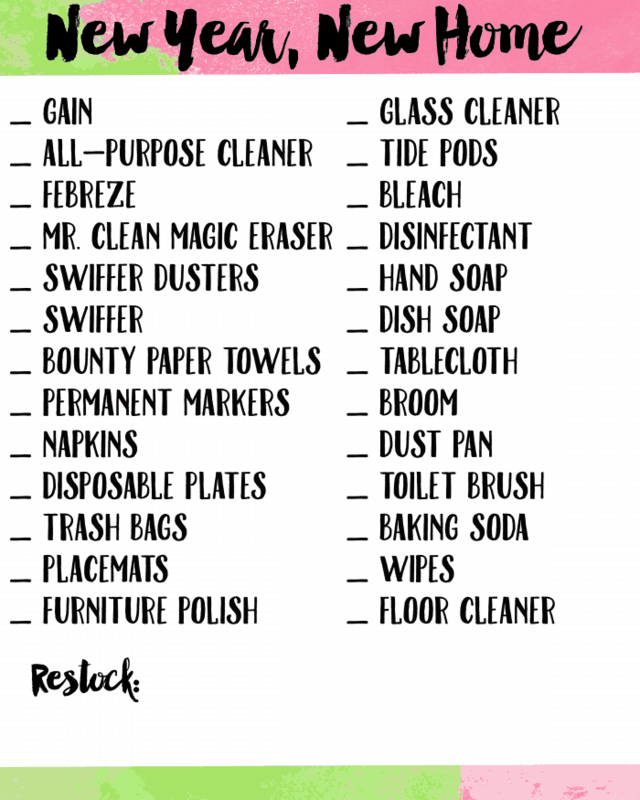 Download this free printable household cleaning checklist for ideas and inspiration to refresh and refill your own home with everyday essentials. This is my “master” list with everything that I buy at the beginning of the new year (and what I refill seasonally). 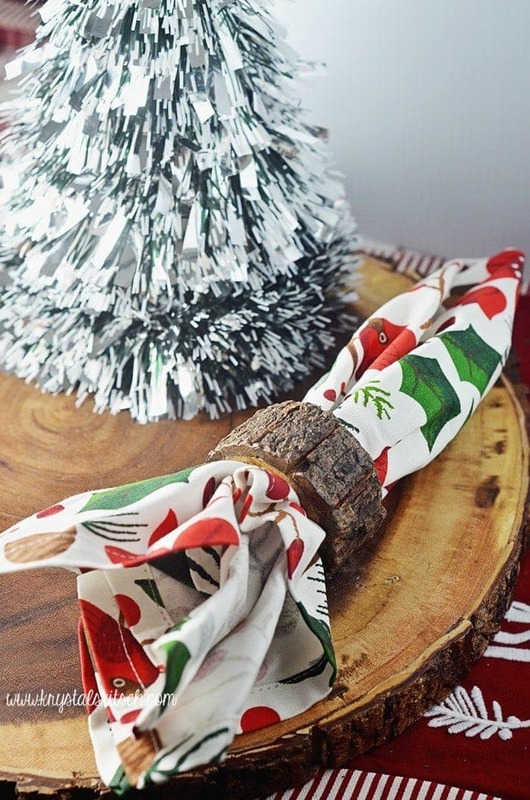 I always swap out placemats and tablecloths each season, and I make sure to have disposable silverware too. I have laundry detergent, paper goods, and other cleaning supplies listed to help you navigate your Sam’s Club so you can grab everything you need in a hurry. What’s on your everyday essentials list? 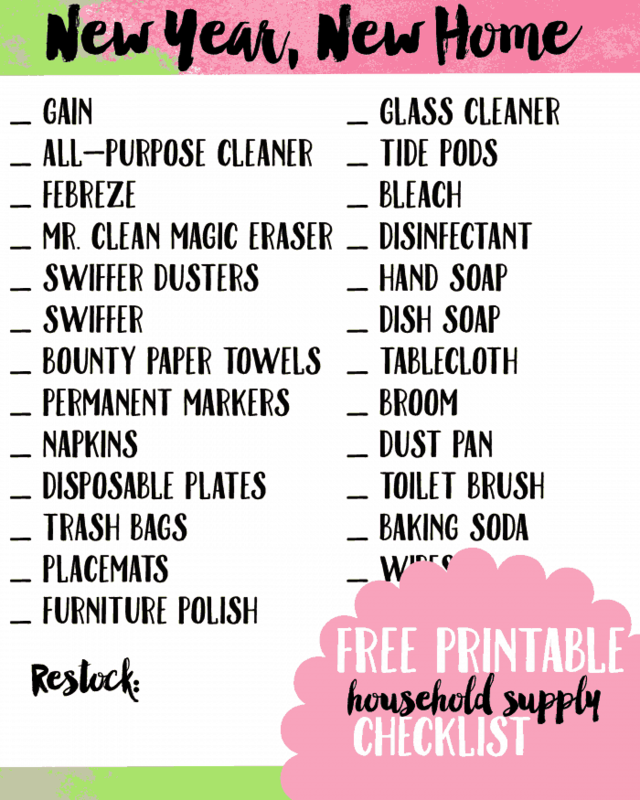 Stock up on everyday essentials easily with this free household cleaning printable checklist! Your printable is a great idea. So many times when I have needed to start my holiday or guest cleaning, I have to stop and run to the store for something I ran out of and didn’t realize. Grrr! OHH this is a great printable! I need something like this to keep myself focused on cleaning the house. I would stock up on paper towels for sure. We are always running out of paper towels. That is a great printable! I need one to make sure I do not forget to clean anything! I try to keep my home pretty clean, but the holidays call for an extra level of attention. I’m getting a jumpstart on your printable and using it now. This is a great way to be sure you do not forget any of the essentials. Febreze is a great way to keep the house smelling great. This is a great printable. I like a list i can check off as i go. I definitely need to stock up for the holidays! Thanks so much for the printable! This is a fantastic printable, thanks for sharing. I need to get organized with my cleaning items so I can have a quick productive cleaning session of the 2400 square foot home I am renting. My trouble area is keeping up with the floors as they are mainly hardwood and to care for them does take almost a day of working on them. That’s a great idea to stock up on essentials now! I should definitely stock up on paper products like napkins and plates! What a great cleaning list. I feel like I’m always cleaning during the holidays and New Year. Family is always coming in and out. I need to stock up on some cleaning supplies. I like the air fresheners. They make my house smelly great. Yes, I need to stock up on my cleaning supplies. I need to print this printable as I always forget something when shopping. We seem to go through a ridiculous amount of paper towels as well. I love the printable for putting on the fridge! I surely need to do the same at home. One of my resolutions for 2016 is to start cleaning only with natural cleaning products. I need to go to the store and take a big bottle of distilled vinegar, a box of baking soda, few bottles of essential oils and some lemons. This, I think, will be a great start! Your printable will be really helpful to me! Thanks for sharing! Let the cleaning for the new 2016 begin!